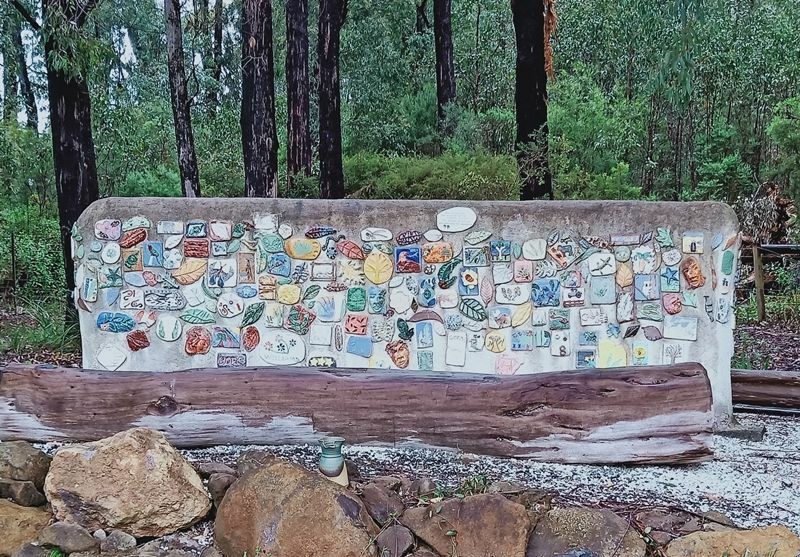 The wall commemorates those who lost their lives in the Black Saturday bushfires of February 2009. The Black Saturday bushfires were a series of bushfires that ignited or were burning across the Australian state of Victoria on and around Saturday, 7 February 2009. The fires occurred during extreme bushfire-weather conditions and resulted in Australia's highest ever loss of life from a bushfire; 173 people died, including 11 from the Callignee and Traralgon South areas, and 414 were injured as a result of the fires.